Segway tours are a fun and unique way to discover and learn about a city. If you are in South Florida, you can enjoy the amazing Green Motion Segway tours and celebrate your holiday or weekend in style. The Segway tours offer you the complete experience of a great orientation to the city, informative historical and modern day information, lots of fascinating and unique stories, fantastic photo opportunities and a wonderful personalized service from a tour guide. You will have an opportunity to ride the coolest machine on earth and much more. You will explore scenic sites, visit historical monuments or even spend your holiday moving from one place to another- all while gliding on Green Motion Segway, which meets the highest quality tours. These are safe and memorable experiences and you can also receive training if you have never used Segway before. You will get fun instructions, in-depth knowledge of practical and technical usage. The benefits of taking Segway tours are many. The tour operators have the current product training and information, know the recommended safety guidelines, have the knowledge of the city and the tours are pedestrian-friendly and conform to all regulations. 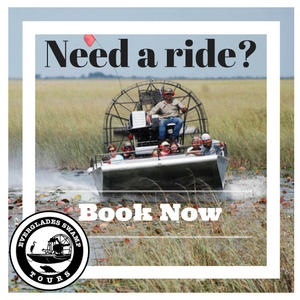 Green Motion provides Segway tours at the Marjory Stoneman Douglas Everglades Habitat. You can experience the most scenic tours here than any other place in the country. Marjory Stoneman Douglas Everglades Habitat has 365 acres of paved paths, beautiful lakes, eye-catching landscapes and wildlife, wooden boardwalks and i2 Segway with leansteer technology. You will enjoy comfortable mats, communication facilities attached in all Segway machines and backpacks for putting your personal belongings. Any booking cancellations have to be done 24 hours before the tour day and you must arrive 15 minutes before the tour starts for orientation and paperwork. In case of rain, the tours will be rescheduled or participants can get a refund.